"WE JUST GOT OUR PERSONALIZED HEADBANDS"
The quality is better then our local boutique. "AT HALF THE PRICE"
I have already placed my second order. This attractive accessory is personalized with your child's First name and embellished on each side with tiny rosebuds. 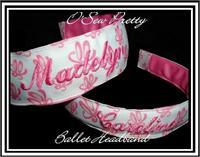 The perfect combination of style and comfort creates this girl's personalized Headband. Choose from an array of colors to design your very own look. 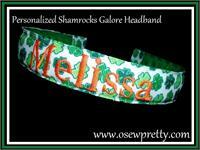 The perfect combination of style and comfort creates this personalized hair band. Choose from an array of colors to design your very own look. The perfect combination of style and comfort creates this personalized peace sign headband. Choose from a 1' wide or 1 1/2" wide headband. 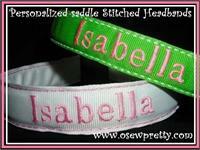 The perfect combination of style and comfort creates this personalized striped ribbon headband. Choose from a 1" wide or 1 1/2" wide headband. Place your child's name on this Chevron print Personalized headband. 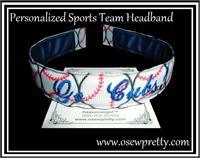 The perfect combination of style and comfort creates this personalized hair band. Choose your own thread and ribbon colors to design your very own look.